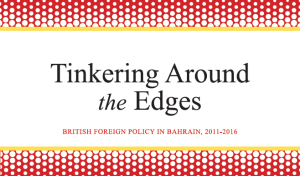 15 June 2016 – A report by BIRD on the UK’s relationship with Bahrain, released today, has described British policies in the country as “counter-productive”, “misleading” and “unsustainable”, and criticised Bahrain’s ‘gift’ to the UK of the construction of a new Royal Navy base in the Gulf. The report finds the UK human rights technical assistance programme, which began in 2012 and has cost around £3.87m, has not reduced the daily human rights abuses of Bahrain’s citizens, while the UK’s positive rhetoric on Bahrain has had the opposite effect. British assistance has seen the establishment and training of the Ombudsman, Prisoners and Detainees Rights Commission, Special Investigation Unit and the National Institute for Human Rights; and training for the police and judiciary. BIRD can reveal that the new Royal Navy facility under construction in Bahrain, the Mina Salman Support Facility (or HMS Juffair), has had its construction “gifted” to the UK by the Government of Bahrain. The ‘gift’, admitted by the Ministry of Defence in an Informal Resolution to a Freedom of Information Request, “raises considerable concerns”. 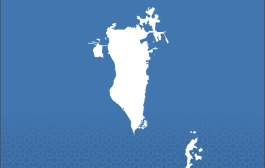 Sayed Ahmed Alwadaei, Director of Advocacy, BIRD: Since the navy base deal, the UK has focused on reinforcing Bahrain’s status quo. We have seen the Government of Bahrain acting with impunity, secure in the knowledge that the UK is indebted to them and will repay the debt by whitewashing their inhuman rights record. The UK’s technical assistance is part of this whitewash, which makes it a pointless misuse of tax payer’s money. Britain is continuing to play a highly damaging colonial role to the Gulf. 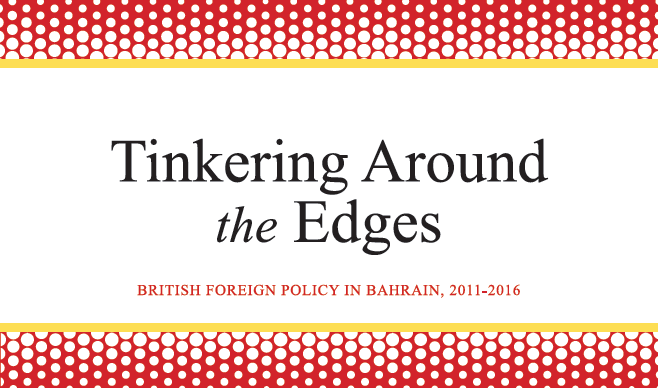 Using data from Freedom of Information requests, BIRD demonstrates how the UK human rights and political assistance dropped significantly after the announcement of a new Royal Navy base in Bahrain. In 2014, the FCO held 78 meetings with Bahraini civil society on political dialogue and human rights; in 2015 only 18 meetings on the same subjects were held. This points to a loss of political will to proceed with sreform, both in Bahrain and the FCO. This shift comes in spite of Bahrain’s poor record on human rights: the use of death penalty has risen, over 260 nationalities have been revoked – mainly from political dissidents – and torture is systemic. On the same day, an appeals court increased peaceful opposition leader Sheikh Ali Salman’s prison sentence from four years to nine, after the prosecution challenged his acquittal on charges of attempted overthrow of the regime. Sheikh Ali Salman is the leader of Al Wefaq, the largest political society in the country. Since then, human rights activists have been arrested and forced into exile, and Bahrain’s Ministry of Justice has shut down Al Wefaq. A key, misleading act highlighted in the report is a British delegation’s visit to the UN in Geneva a week prior to the September 2015 session of the UN Human Rights Council. The delegation, comprising members of the British embassy to Bahrain and representatives of British organisations involved in the assistance programme, met with states and NGOs to brief them on rights progress in Bahrain. The report states, “Multiple individuals privately told BIRD that the meetings gave the impression of a public relations exercise, with some calling it a ‘white wash’.” The visit occurred days before a UN joint statement on human rights in Bahrain was published, and BIRD says, had a direct effect diluting the statement’s language and number of signatories. The UK-Bahrain military relations also come under scrutiny. The UK government says that arms sales, which amount to £110m since 2010, are partly predicated on assurances that the Bahrain Defence Force (BDF) will not deploy internally. 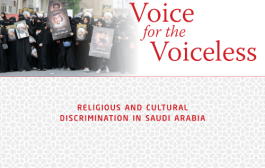 But recent BDF threats to do just that, as well as an institutional sectarianism within the force – which has published and disseminated Wahhabist anti-Shia literature, in a country where the majority of citizens are Shia – and its participation in the Saudi Arabia-led coalition in Yemen, which has been accused of war crimes, require this reviewed. 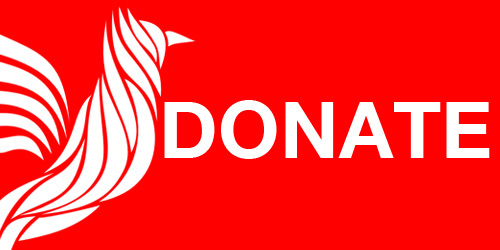 BDF-published literature seen by BIRD justifies the killing of Shia; some Bahraini individuals who joined the terrorist group IS came from within the security forces. 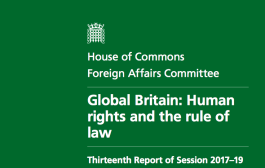 The report criticises the UK for appearing as an “unconditional ally” and “damaging its credibility” on human rights. 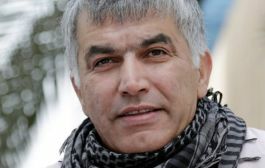 Key among BIRD’s recommendations to the FCO and Gulf Strategy Unit are calls to express a human rights policy on the Gulf and publicly criticise regressions; to suspend funding until key terms, including a visit by the UN Special Rapporteur on Torture, are met; to reject the “gifted” navy base construction; and to suspend arms sales in light of the Bahrain Defence Force’s internal sectarianism, threats to deploy within Bahrain, and potential war crimes in Yemen as a participant of Saudi Arabia’s campaign.